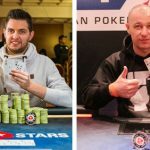 MainEventTravel.com, one of the country’s leading digital travel businesses, serving the poker industry, has been acquired for an undisclosed fee, by the former European Poker Tour Madrid runner-up Fraser MacIntyre. 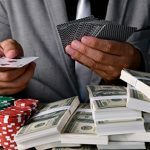 MainEventTravel.com (MET), a company created to provide travel, hospitality, and ancillary packages to poker players, has issued a press release announcing a change in ownership. The company was co-founded by Warren Kwei, Dale Garrad and Tom Reynolds, on Oct 2011, and quickly built up an impressive list of partners in the UK poker industry, including: The Genting Poker Series, The GUKPT, Dusk till Dawn, and PokerStars.com UKIPT. Poker players have been advised that it will be business as usual with the original co-founder Dale Garrad taking up the position of Operations Director, thus making the transition a lot smoother. Speaking about the sale, Kwei said: “Establishing a digital travel business in a growing sector was an opportunity we grasped with both hands. It’s been a fantastic three-year journey and I’ve been thrilled to watch the team and the business develop in parallel. Our strategy was built on a plan to create a unique and succinct digital experience for the customer, and to develop robust, ease of use partner propositions. I’m pleased to say we’ve executed against this. It was a tough decision to sell the business, but I felt the time was right as it was imperative that a new owner was able to dedicate sufficient time to develop and harness the value from the infrastructure we’ve developed. With over 1.4m average unique visitors per quarter and multiple B2B relationships, the business is now firmly set for the new owner to take the business forward”. I managed to sit down with the new owner, Mr. MacIntyre, to ask him a few questions about the sale. Why did you choose to acquire MET? MET is a brand that I have been very aware of over the last couple of years. 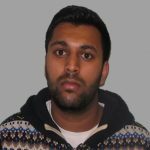 I have used their services on a number of occasions, and am good friends with the Operations Director Dale Garrad. I didn’t expect the opportunity to buy the company to arise. When Dale called me and told me there may be an opportunity to purchase the company, and work with him, I was immediately interested. Is this your first business venture like this? I have a number of other businesses, and I really enjoy travelling the world playing poker. However, as a businessman I always have an eye for an opportunity. 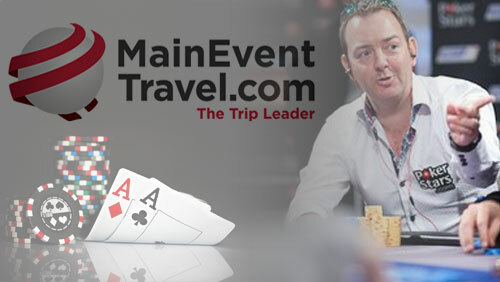 With Main Event Travel I see a real opportunity for us to drive the business onto the next level to truly become the premier travel and events specialist company in the poker industry. Obviously this fits well with my intention to continue playing poker. 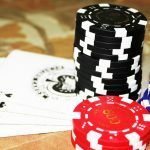 As a poker player – what changes do you feel you can bring to the company? 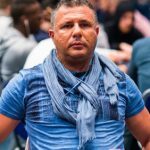 As a poker player I feel that I am well positioned to shape the products and services that MET offer to really fit the needs and wants of other players travelling the circuit. We have a number of ideas for additional services, which we can supply to our customers, which will really make life a lot easier for them when they are travelling around the country, or the globe. In all honesty, a poker player wants to play poker, not to spend ages trying to make travel arrangements and hotel bookings. That’s where MET comes in to remove all that hassle and allow our customers to just enjoy playing poker. Keep an eye out for some exciting new additional products, which we will be launching soon. How important was it to keep someone like Dale in the team? Dale has been invaluable to MET. This is, after all, a concept, which he dreamed up and created. I would not have been interested in buying the business if Dale was not going to continue his involvement. Everybody who knows Dale appreciates that his phone is always on, and he is prepared to help resolve your last minute accommodation and travel issues at any time. This service is invaluable and you won’t get this with your standard travel agent.